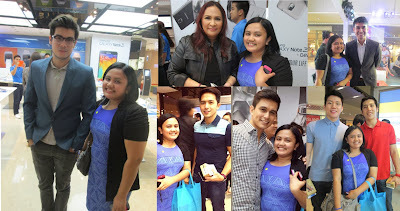 Two new amazing innovations were unveiled by Samsung Mobile at the SM Aura last September 26. With the shape of a Dot, a Circle and Square, the Samsung Note 3 + Gear helps you tell your life story, multitask and make it even more better with new apps and specifications. 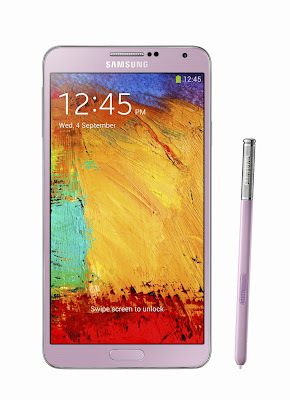 The Samsung Galaxy Note 3 is now wider with 5.7 inch full HD Super AMOLED display but slimmer with 8.3mm design. New features include the 13-MP rear camera with Smart Stabilization and high CRI LED flash, a longer lasting battery and the latest LTE technologies, specifically the CAT4 Carrier Aggregation and supports the greatest number of multiple frequencies. At 3GB RAM, the Samsung Galaxy Note 3 is now faster and more powerful. 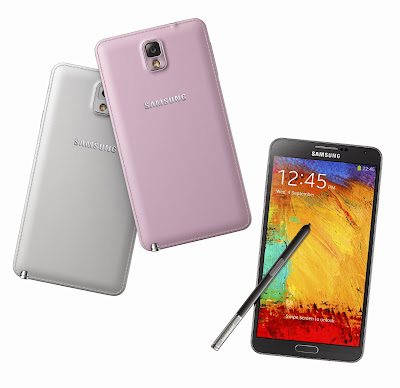 In terms of design, Note 3 has a soft and textured-touch back cover and delicate stitching. It's timeless and classy, which will be available in three colors - Jet Black, Classic White and Blush Pink. What makes the Galaxy Note family special is the S Pen. And now, it is reinvented and modernized as it can accomplish everyday tasks with just one click. A simple click of the S Pen button while hovering over the screen introduces users to Air Command, a palette of five powerful features that truly make tasks easier and faster. With the Air Command feature, there is no need to toggle between screens, memorize commands or look up different menus. The Air Command feature provides access to the following key functions: ACTION MEMO, SCRAPBOOK, SCREEN WRITE, S FINDER and PEN WINDOW. If you're an artist or artist by heart, My Magazine provides a personalized news, social media, entertainment and in-the-moment content experience. 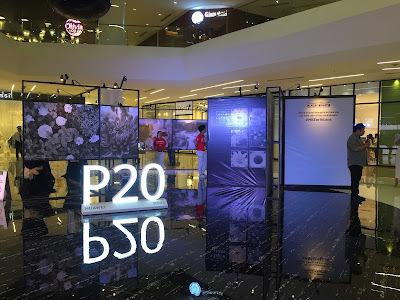 Developed through a partnership with Flipboard, it offers an integrated content consuming experience in a modern and dynamic magazine-style layout. I also loved how the Group Play allows users to play the same music, games and documents and even connect up to five devices alongside each other to create a bigger and longer screen. Another feature to love is Find My Mobile feature. This allows that users to disable the phone when it is stolen or lost. With the enhanced user authentication, the technology prevents stolen mobile phones from being reset to factory settings, and allows users to remotely track or erase the data from their lost or stolen mobile phones. 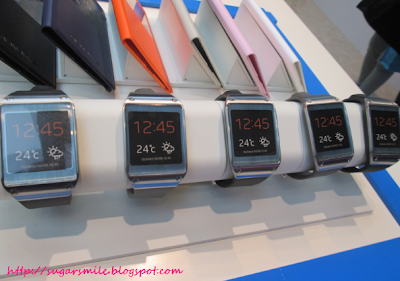 The Galaxy Gear is not just an awesome watch to look out for. This new concept device allows you to stay connected with your phone and live life in the moment. First of all, it notifies users of incoming messages, such as calls, texts, emails and alerts, delivers a preview of those messages and creates the opportunity for users to accept or discreetly ignore those messages. When an incoming message requires more than a quick glance, users can simply pick up their Samsung GALAXY devices and theSmart Relay feature will instantly reveal the full content on the screen. 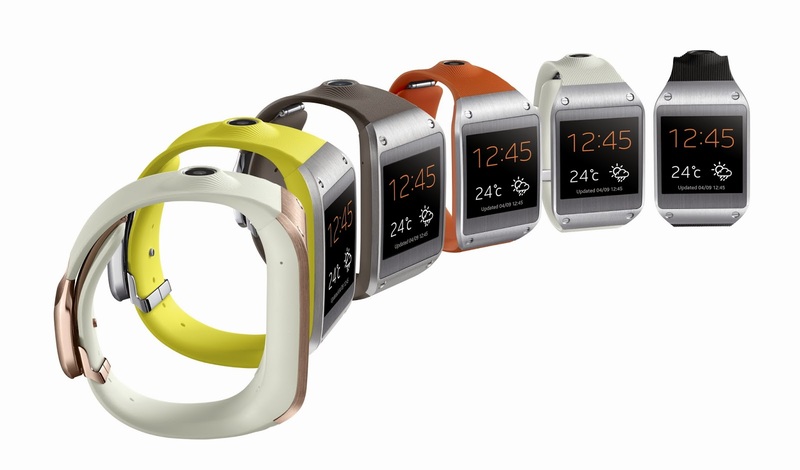 Galaxy Gear has a built-in speaker that allows users to conduct hands-free calls. If your hands are full, you can make a call by speaking into the Gear without touching the screen. With the S Voice, you can also draft message, create calendar entries, set alarms and even check the weather. Adding on how extraordinary the gear is, it can capture life's meaningful moments. It has a Memographer feature, a 1.9 MP camera which can record photos and videos, which you can also share to your social networking sites. It also has a Voice Memo, which I think is important now that we have lots of information on hand. 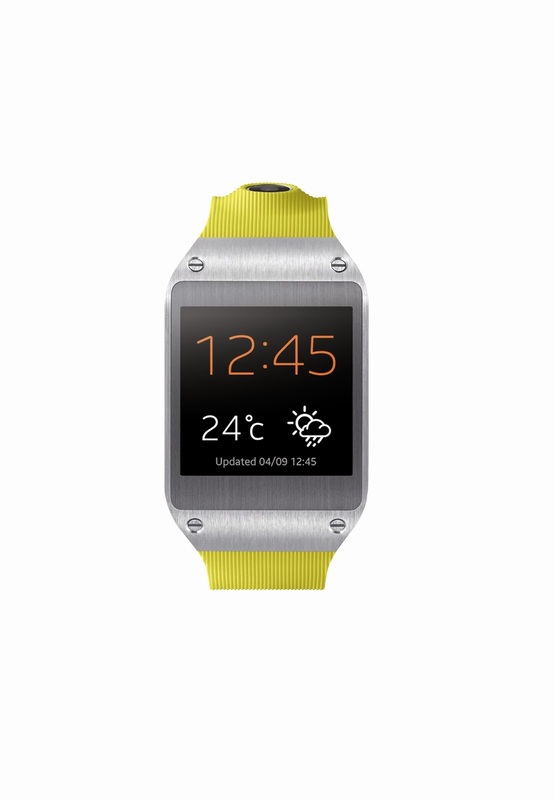 It also has an Auto Lock, Find My Device feature and a pedometer. The GALAXY Gear experience can be further personalized by selecting from six colors: Jet Black, Mocha Gray, Wild Orange, Oatmeal Beige, Rose Gold, and Lime Green. 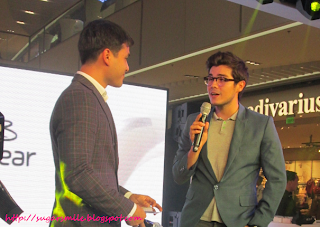 You can also customize the watch face, according to your personality, so it can be an iconic accessory. 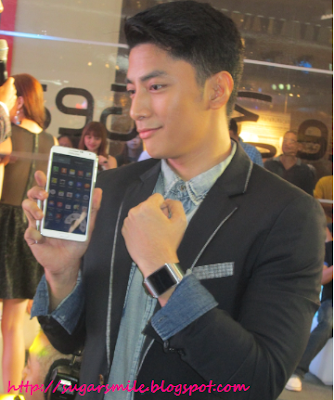 Samsung Galaxy Note 3's SRP is Php36,990, while the Galaxy Gear is at Php13,990. Available in 32GB or 64GB internal storage along with an additional microSD card slot, the Samsung GALAXY Note 3 and GALAXY Gear. 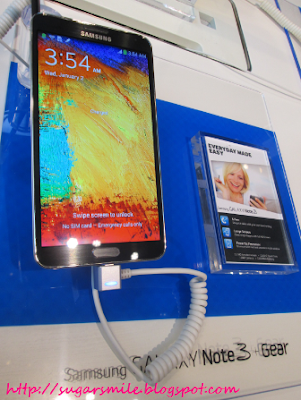 For full details, video content and product images, visit www.samsungmobilepress.com.